In our day-to-day lives, we use locks almost without thought. After all, each morning when we leave the house, we flip a lock into place. We unlock our car, and drive to work and unlock the front doors to open for business. Yes, locks are an almost hidden part of our existence, and few ever really think about them until they fail in some way. When the reality of your locking system becomes apparent, your first step should be to call a locksmith — but not just any locksmith. If you’re looking for locksmith services in the New Jersey area, your first call should be Firstline Locksmiths. 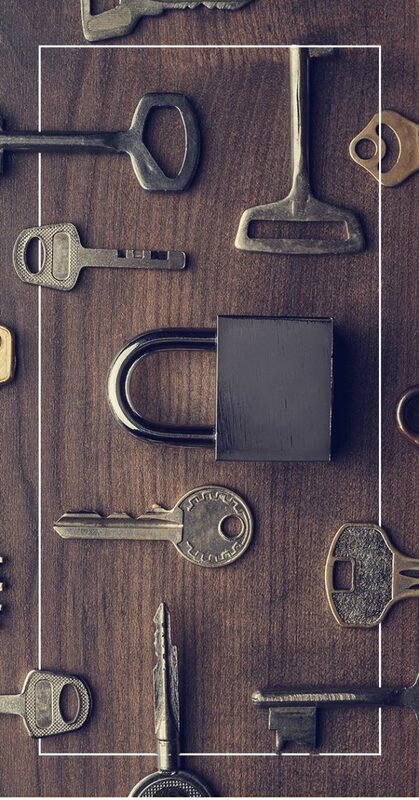 Firstline Locksmith has been serving the State of New Jersey faithfully for over 25 years. In that time we’ve helped hundreds of friends, neighbors, and partners with all of their locksmith services. Over that time, we’ve grown exponentially and now offer our services to the entire state. We are, without question, the finest locksmithing service in New Jersey, as we only hire and train technicians who share our passion for locksmith work. Because we’ve been around for so long, and have worked on so many projects, our range of services is quite expansive, and we can address nearly any lock issue, problem, or project you can think of. As full-service locksmiths, each of our detail-oriented and courteous locksmiths is backed by our experienced team, and supported by our exhaustive training regimen. We offer our locksmith services to commercial and residential spaces. 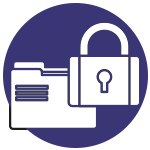 We are here to help keep your business or home safe and secure. We offer our specialized locksmith services to a variety of businesses of all sizes. With 25 years in the field, we’ve seen nearly everything commercial locksmith problem, and we’re ready to help solve yours. As part of our extensive career, we’ve worked with dozens of banks in the New Jersey area. More so than other businesses, banks base their entire business on security. After all, a bank that can’t keep its assets safe doesn’t keep its customers for long. Fortunately, our locksmiths have experience working with banks and their locking systems. Our bank division is made up of a team of specialized locksmiths who are familiar with all of the ins and outs of commercial banking and their lock needs. 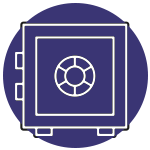 This includes major projects like working with bank vaults and safes. We service all sizes and designs. If you’re locked out of your safe or vault, our technicians will be able to return your access in no time. These locksmiths are also trained to assess your safe and vault needs. If you’re looking to repair your old safe, or install a new one, make sure to contact us for a consultation. We’ll take the time to walk you through the safe and vault selection process so you can confidently choose a new one for your bank. One of the reasons that retail is so exciting is because of its ever-changing nature. Product lines change, marketing strategies shift, and new employees bring fresh enthusiasm and ideas to the business. Because of the dynamic nature of retail, it means that when something goes wrong, like a failed lock, or jammed door, it needs immediate attention. That’s where Firstline Locksmiths comes in. We’ve worked extensively with retail customers, in fact, it makes up the majority of our business. We understand that a retail space may need to regularly rekey its doors, safes, and cash drawers as managers come and go from the company. This is an expected part of running a retail business. Our locksmiths take the hassle out of this process. Our technicians are also trained and qualified to install the entire line of Detex security devices for your retail space. Of course, for those moments when you need a fast resolution, we offer emergency services. Locked yourself out of your safe? Can’t gain access to your office or cash drawer? We’ll help you get your business day back on track. If you have a recurring need for our top-quality locksmith services, save your accountant the hassle of constantly filling out purchase requests and payment forms. We offer a corporate billing service to our customers that work with us frequently. It’s easy to sign up for, convenient to use and saves everyone time and effort. It’s part of our commitment to building lasting, trusting relationships with our customers. 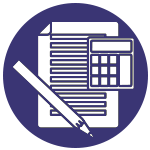 Find out more about our corporate billing here. Your home is your bastion of security and safety. After a long day at work or an exhausting trip, nothing feels better than resting in your home, comfortable in the knowledge the locks on your doors and windows are there to keep you safe. Firstline Locksmith can help you reach that peace of mind with our comprehensive residential locksmith services. Perhaps the most obvious, and symbolic of all the locks in your home is the front door lock. If your current front door lock is starting to look worn out, it’s time to replace it. We can install a new deadbolt and lock in your front door for extra security. In fact, our technicians are also trained and ready to replace your entire front door should you so wish. We can help secure your windows with our fine selection of window locks. 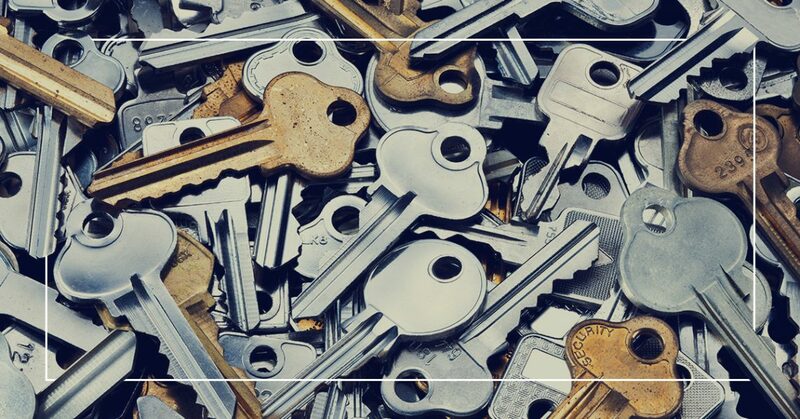 And of course, we offer key duplication services to ensure that every member of your family has the right keys to safely gain entry into your home. But home security doesn’t end at the front door. Talk to our locksmiths about our security surveys. We’ll do a thorough examination of your home, and determine what steps you need to take to best secure it from outside forces. With this newfound knowledge in hand, you can then have one of our excellent home security systems installed, which includes camera surveillance systems. If you’re interested in securing what’s already inside your home, you might consider an in-home safe. Our team of qualified technicians can assess your security needs, and make suggestions on the kind of safe that best meets your needs. We can also help you find a convenient place to situate your new in-home safe. Of course, we’ve all had those moments when we walk out the front door, and it clicks locked behind us, only for us to pat our pockets, frantically searching for the keys we left on the kitchen table. Or maybe you locked your keys in your car, or you can’t get into your desk safe. These instances happen to the best of us, and always on the most inconvenient of days. When these irksome instances strike, don’t hesitate to call Firstline Locksmith. We offer emergency locksmith services so you can get back to living your life faster. The New Jersey area is known for its handy residents and can-do attitude. As such, it’s not surprising to see many residents try and make complicated locksmithing problems a DIY project. While we admire that New Jersey area spirit, we also encourage everyone to think twice before they tackle their own locksmith work. Working with Firstline Locksmith is the smart choice for your locksmith services. Those who decide that their front door needs a new durable lock, they can head down to the local hardware store, buy some locks, and install them a few hours later. That’s a surefire way to keep unwanted visitors out of your home, right? Well, right and wrong. While a new lock can provide you a sense of security, your front door might not be the weak point in your home or business security plan. A qualified locksmith might look at your existing locks, and suggest rekeying them instead, which saves you time and money. They might also look at your front door, and then suggest the addition of window locks to better secure your home or business. A professional locksmith is trained in so much more than simply cutting new keys. They are trained to identify the security needs of your property and can work with you to keep your home or business safe. Additionally, working with a professional locksmith service means that you’ll have a well-trained technician utilizing advanced equipment to carry out your repair, installation, or replacement. This saves you time, as you aren’t struggling with parts and pieces you’re unfamiliar with. It saves you money because a locksmith will suggest tips that can keep you from needlessly replacing parts that are still functional. Their work will also always be within the warranty of the product, meaning that if there are issues later, you can get the quality security product you need, when you need it. When you start looking for a locksmith in the New Jersey area, you might be overwhelmed by the options. For such a small state, there are a lot of locksmiths working here. It can be hard to choose the right locksmith to meet your needs. Fortunately, the Better Business Bureau has done much of the searching for you. Look For Recommendations: When looking for a locksmith, it’s never a bad idea to ask friends and coworkers for their suggestions. This will ensure that you’re working with a proven locksmith in your New Jersey area. You can also check online with sources like Google reviews, Yelp, and the BBB to ensure that your recommendation is a sound one. Contact The Business: Call the business, and listen for these cues. If they don’t answer the phone in a timely manner, or never return your call, that’s your first sign that this locksmith might not prioritize customer service. If they answer the phone with a generic response of “locksmith services” rather than a legal business name, you might have dialed an ill-qualified, or at-home trained locksmith who hasn’t received the licenses and certifications that the state of New Jersey requires for all locksmiths. Ask For An Estimate: Before you arrange for a locksmith to visit your home or business, ask for an estimate that includes all of the costs associated with your particular task, including the cost of the parts and labor, and other fees. A reputable locksmith will readily supply you with these estimates. Check Their Credentials: In New Jersey, locksmiths have to be licensed by the state to work as a locksmith. This process includes undergoing a background check and passing an exam that tests their knowledge and workmanship. Before you hire any locksmith, ask for their license number, and verify it with the State of New Jersey Department of Law and Public Safety, Division of Consumer Affairs. This will help weed out unqualified locksmiths. You can also ask if they are members of professional locksmith organizations like the ALOA (Associated Locksmiths of America) and SOPL (Society of Professional Locksmiths). If that sounds like a lot of time and hassle, you’re right. Choosing a locksmith can be an arduous process, often unnecessarily. Or choosing a New Jersey area locksmith can be as easy as picking up the phone and dialing Firstline Locksmith. With so many other locksmiths offering their services across the entire state of New Jersey, what makes Firstline Locksmith different? We could fill up an entire book with the reasons why we’re the superior choice for locksmith services, but we’ll highlight some of the aspects that make us an exceptional choice and partner to the community. We take locksmithing seriously. That should be obvious after reading about our services. But our commitment to high-quality locksmith services doesn’t end after we drive away from your service call. To ensure that our locksmiths are the best in the industry, we have an on-site training facility at our Jamesburg location. Here, not only are our locksmiths resupplied with the finest in locksmithing materials and tools, they are taught innovative and cutting-edge new locksmithing strategies, techniques, and ideas. They are also given the opportunity to work with the latest in locksmithing tools and devices. All of these new developments are paired with our existing and proven knowledge and experience of all things locks and keys. Our locksmith technicians are simply the finest craftsmen in the trade. How do we know? Because the State of New Jersey demands it. The state requires that locksmiths be licensed to carry out their services, meaning that our technicians have to pass a battery of tests and exams to get their state license. As a whole, our company is licensed, bonded, and insured, so we can guarantee that the quality of our locksmith services are second-to-none. Not only are our individual locksmiths qualified to work in the New Jersey area, they’re proud members of the Associated Locksmiths of America, the Safe and Vault Technicians Associations, and the Society of Professional Locksmiths. The standards of these prestigious locksmith organizations are only matched by our own standards. Looking for high-quality locksmith services in the New Jersey has never been easier thanks to Firstline Locksmith. With our headquarters in Hamilton, New Jersey, and our central store and training facility in Jamesburg, we can provide our services to the entire state of New Jersey. Whether you need a new lock installed in your home, to gain access to your businesses vault, or are in need of emergency locksmith services, make Firstline Locksmith your first and last call. "Firstline Locksmith displayed great assistance and timely response, maintained a professional performance at all times, and exhibited measures to ensure that all work was completed to my satisfaction. Firstline Locksmith has worked with the City of Newark for five years. They work in an efficient and professional manner to meet their contract requirements for projects and I would recommend them for future work."